Application Development Case Study — Network Designs Inc. In 2010, Department of Transportation (DOT) employees wanted a new platform. They wanted to improve their workplace, innovate, collaborate and unleash their creativity, and since popular crowdsourcing applications like Kickstarter had recently taken off, DOT employees wanted their voices heard on a digital application. Create and execute a user-friendly, crowd-sourcing application that would seamlessly allow over 60,000 Department of Transportation employees to submit and share ideas. In nine months total, our NDi strategists, engineers, designers and web architects worked with the Department of Transportation, to: conceptualize the IdeaHub web application, build its online infrastructure, test its user design and quality control, establish a vibrant digital brand and deploy the application throughout the agency. In other words, our NDi managed to create an application, kick-starting a new culture of innovation for over 60,000 Department of Transportation employees in less than a year. Two years after IdeaHub’s initial launch, the Department of Transportation was the most improved large agency in the Federal Government according to its score on the Partnership in Public Service annual “Best Places to Work in the Federal Government” survey. DOT’s standing increased by 4.1 points in one year. 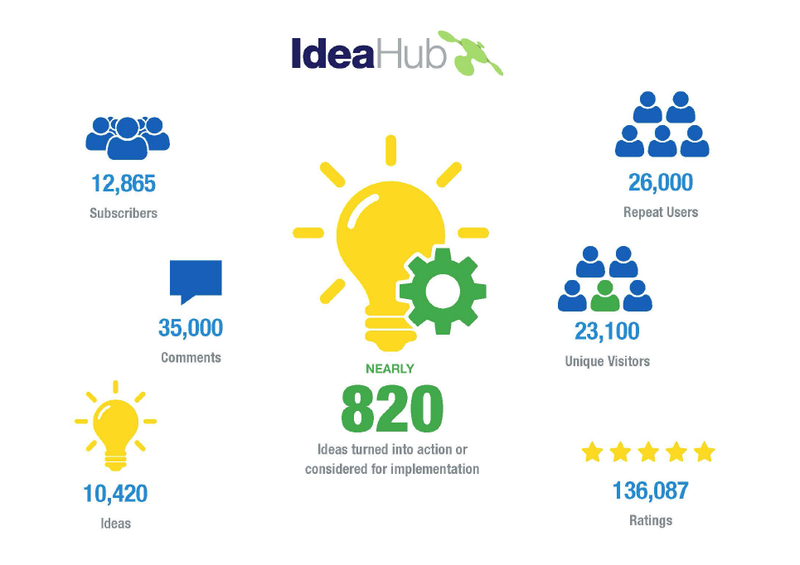 The Federal Aviation Administration has reduced over $110,000/year in costs thanks to IdeaHub contributions. We have increased user engagement each year.